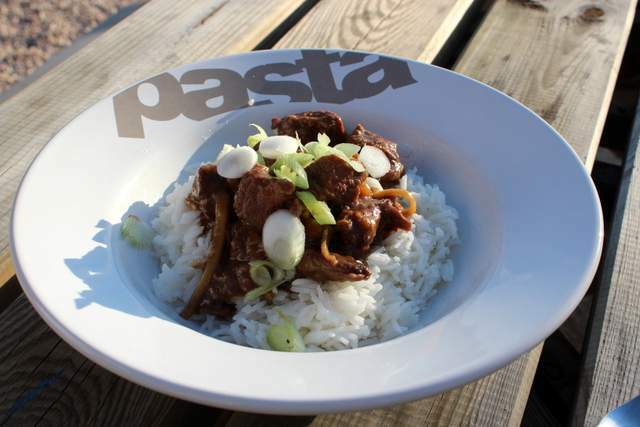 Home » Blog » BritMums & Beef Stew! This week, I have not only been cooking in my farmhouse kitchen…I have also been seen doing a bit of a jig and whooping rather a lot! I am still reeling from the news that I have made the final 6 for a BritMums Brilliance In Blogging Award in the category of Food. 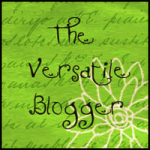 I am literally bowled over to have got this far and I am amongst such outstanding bloggers that I am beyond honoured. Having found out I made the final, I excitedly arranged to fly back to London for the awards ceremony which just happens to be on the last day of my holiday in Menorca. I had to rejig my itinerary a bit but it just had to be done! I am really looking forward to meeting the other finalists in the flesh and all the lovely ladies from BritMums too. I want to take this opportunity to thank everyone who voted for me. It means a great deal to me and I am really delighted to have made it this far, I couldn’t have done it without your votes. I am a super happy lucky lady. But for now, back to the nitty gritty of everyday life and a wonderful braised beef dish I want to share with you. I am still working my way through the very special 10 kilos of grass fed beef in my freezer and I wanted to do something exciting with some of the bourgignon. Despite it being a decidedly wintery May, I didn’t want to just make my usual comforting beef stew (even though it’s delicious, check out the recipe here), I wanted to pep it up and make it lighter and more ‘Springy’ if that makes any sense at all?! I recently read in Heston Blumenthal Top 10 Tips For Beef that star anise is a magic ingredient that really lifts beef dishes so I used that as my starting point for this. I also wanted to include some ginger and orange which I figured would give the stew a lovely zingy twist. I planned to serve it over rice rather than the more stodgy and wintery mash option. All in all resulting in a lighter perkier tasting stew. And it turned out so good! The beef itself was meltingly tender whilst the ginger and orange made the whole dish fragrant and punchy. The star anise resonated throughout the whole thing with that gentle liquorice twang that does indeed work sublimely well with beef. Topped with some chopped spring onions straight from the garden, it was a really great dish and I can’t wait to make it again. First of all I coated my beef in a little flour and Chines 5 Spice powder and then fried it off until lightly browned. Then I added a little sherry vinegar and let it reduce to almost nothing. 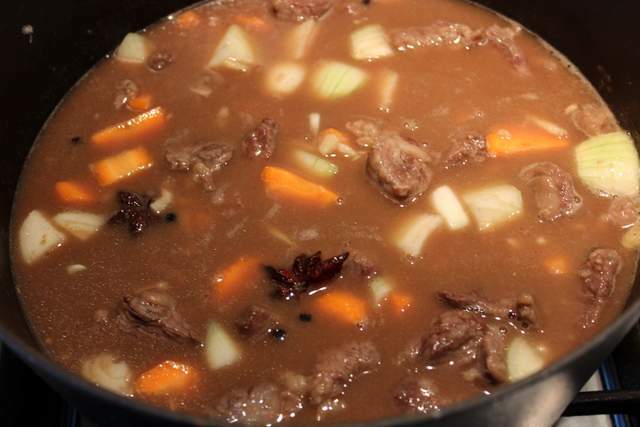 I popped the beef into an oven ready casserole dish and added garlic, ginger, star anise, orange peel & juice, soy sauce, brown sugar, onion, carrot, black peppercorns and beef stock. Once at boiling point, I put the lid on and put the whole lot in the oven for a good 3 and a half to 4 hours. I am entering this stew into a couple of blogging challenges. Firstly, Credit Crunch Munch run by Camilla from Fab Food For All & Helen from Fuss Free Flavours and guest hosted by Janice from Farmersgirl Kitchen. This uses a very affordable braising beef. 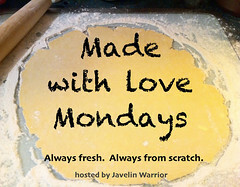 And also into Made With Love Mondays hosted by Mark from Javelin Warriors Cookin w/Luv. 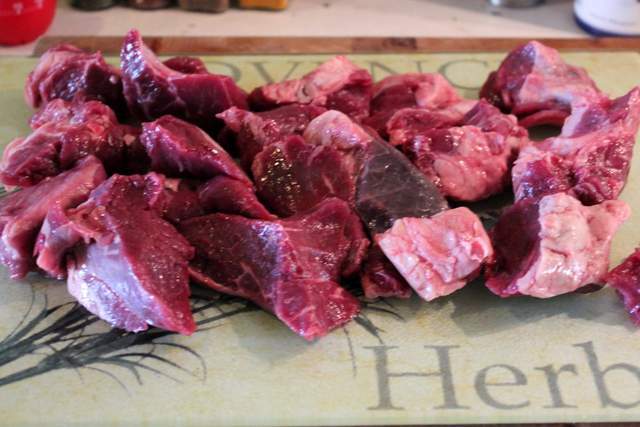 12 Comments on "BritMums & Beef Stew!" Well done again on getting to the finals! 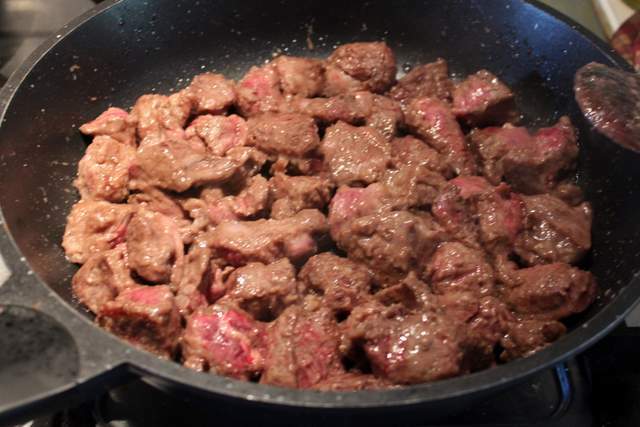 And this looks like a fabulously fusion Boeuf en Daube, so loving the ginger, Chinese 5 spice, star anise and soy sauce additions. Delicious and very inventive and I’m so going to make. My kids happen to love all these flavours, and adore anything with rice, so would make a fab family dinner for my lot! This sound gorgeous. I love the combination of beef and aniseed – I sometimes add a drop of Pernod to my ‘boeuf aux carottes’ to jazz it up a bit. Congratulations on your Britmums brilliance When are the finals? Thanks Mark! I am very excited but I am just happy to have made it this far. The other 5 finalists are all amazing. It will just be nice to meet them all in person at the awards night. I will indeed make sure to have LOTS of fun! and you are right, this is a truly vibrant stew. thanks for reminding me of made with love mondays. How exciting t have made it into the finals! I love the sound of your stew…what a wonderful flavor combination.